ZANU PF national spokesperson Simon Khaya Moyo yesterday implored authorities to address the recent rebasing of fuel coupons after massive fuel hikes announced by President Emmerson Mnangagwa, adding the matter was a cause for concern. Redan, on January 13, issued a statement saying it had reduced, for example, 20 litres of fuel coupons to eight litres and 200 litres to 80 litres after the price hikes, saying it was necessitated by the price hikes. This added to the public anger, resulting in violent protests in Harare, Bulawayo and other parts of the country last week. While addressing the media yesterday, Khaya Moyo said he hoped authorities would address the matter with urgency. "There is one area that I want to mention and that area is coupons. I noticed that 20 litres of any given coupon is now worth eight litres," he said. "We obviously hope that the authorities concerned will address this matter urgently. I think you were all affected as well and to move from 20 litres to eight litres is quite a challenge, but I am sure the authorities concerned will address the matter." Although some sections of society were accusing internal Zanu PF fights as responsible for the chaos, others within Zanu PF have openly accused rival groups of trying to destabilise the country. President Emmerson Mnangagwa was forced to abort his Davos trip to attend to the situation back home. 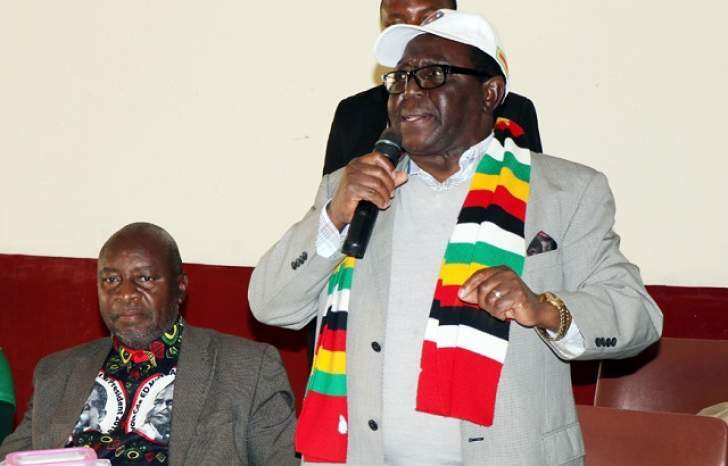 While addressing a Press conference at the party's headquarters yesterday, Khaya Moyo dismissed claims that there was an internal revolt within the ruling party and the military establishment. He said he had no knowledge about the developments and said those making the claims must provide more details. "I haven't heard that at all. I am hearing that for the first time from you," Khaya Moyo said. "To start with, I don't know what factionalism they are referring to. How does factionalism relate to fuel? "I don't know, maybe ask him more [Justice Wadyadyena, who took to twitter with a similar claim], he might give you more details." "The unlawful events of the past few days organised by the opposition MDC Alliance and their partners under the guise of protests left a trail of wanton destruction of property, substantial damage to the national economy, loss of innocent lives and injury of many," the Zanu PF mouth-piece said. In a move likely to spark outrage, Khaya Moyo also slammed human rights lawyers for defending those arrested in the police crackdown. Zimbabwe by creating a false impression that acts of terrorism such as destruction of property and killing of innocent people are rights conferred under the national Constitution." He said government was working towards finding lasting solutions to problems, among them high transport costs. The government has deployed conventional buses in many areas with reduced fares to cushion commuters from astronomical fares charged by public kombi operators.